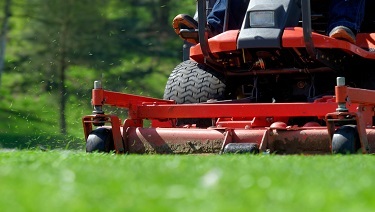 In the U.S., more than 9,000 children go to the emergency room for lawn mower-related injuries every year. Power mowers can be especially dangerous. However, most lawn mower-related injuries can be prevented by following these safety guidelines. It is important to teach your child how to use a lawn mower. Before you allow your child to mow the lawn alone, spend time showing him or her how to do the job safely. Supervise your child's work until you are sure that he or she can manage the task alone. Read the lawn mower operator's manual and the instructions on the mower. Wear sturdy closed-toe shoes with slip-proof soles, close-fitting clothes, safety goggles or glasses with side shields, and hearing protection. AAP Pediatrician Sarah Denny, MD, FAAP, an experienced emergency room doctor, offers important tips on how to keep kids safe when doing this common warm-weather chore.